Not long ago, most restaurateurs thought of catering as an afterthought at best, and a burden at worst. But as restaurants’ fixed costs continue to rise, operators are looking for ways to maximize revenue. For many, serving people beyond the four walls of their restaurants has become the solution. On top of that, many operators have found that catering can drum up new business in their restaurants. 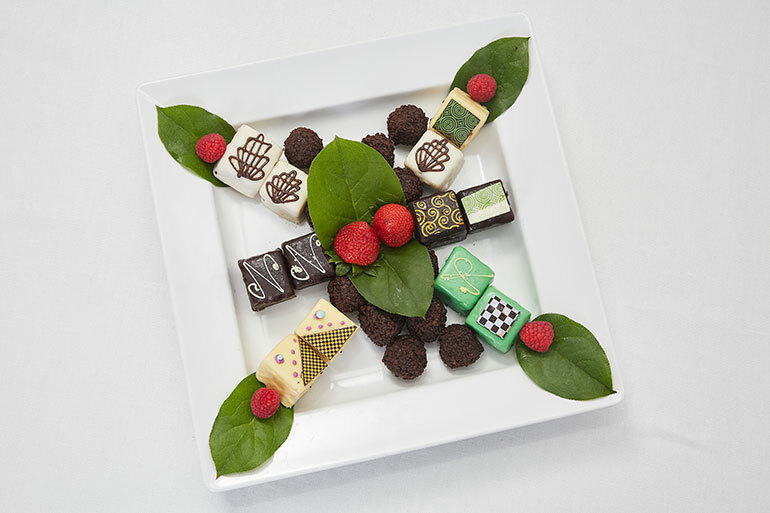 “Historically, catering was something [restaurants] would do if they had to,” said Gary Stibel, founder and CEO of New England Consulting Group. He said restaurateurs would cater for their best customers, but it was thought of as an amenity rather than a legitimate revenue stream — an annoyance rather than an opportunity. But that has changed in recent years as pressure from higher expenses and declining traffic has driven operators to find new sources of revenue, he said. The numbers bear that out. Catersource, a leading resource for catering and event professionals, projected that total catering sales in the United States would grow by more than 25 percent in 2018, to $67.8 billion from $54 billion in 2017. Of that, it estimated that $15.8 billion would be from private dining in restaurants, nearly double the $8.2 billion it estimated for that category for 2017. By comparison, retail and quick-service catering was expected to remain flat at around $14.4 billion. But Stibel said the real growth is in off-premise catering, be that in its simplest form — delivery — or via more elaborate ventures. In fact, he suggested operators stop dividing their operations between onsite service and off-site delivery or catering, and focus on what he calls “allsite” operations, bringing food to customers wherever and whenever they want it. An October 2018 restaurant industry report by Morningstar/Pitchbook concurs. In fact, it said that restaurants serving food beyond their four walls had become a hallmark of modern operations. 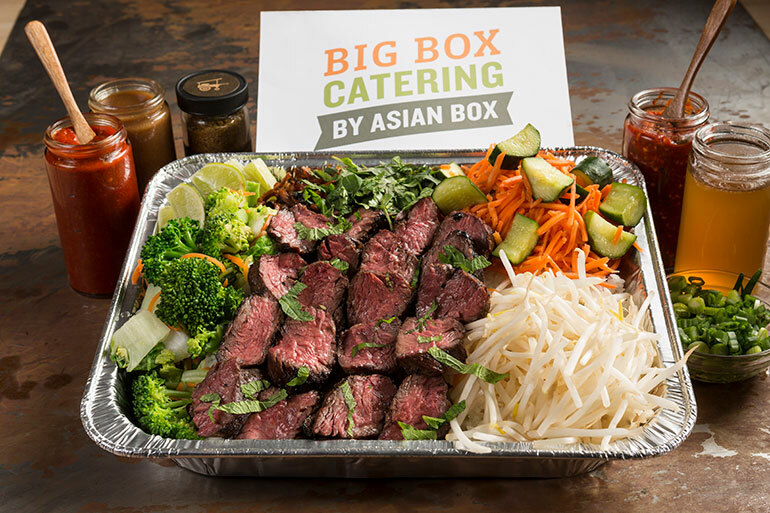 Asian Box, for example, a 10-unit fast-casual chain with locations in Los Angeles and the San Francisco Bay area, garners more than 20 percent of its sales from catering, and that figure is growing, said co-founder and culinary director Chad Newton. “There’s generally a synergistic build between in-store sales and catering sales,” he said. “You can have just one person come into your restaurant, have a great experience, and maybe by chance they’re someone who makes the food decisions for a company, and let’s say that leads to a catering order for 100,” he said. Then, you have the chance to create 100 new fans. “It is the most efficient form of sampling on the planet,” said Stibel, whose background is in consumer goods. “Sampling is the most effective form of marketing,” he added, noting that’s why car companies go to considerable expense to allow test driving. In fact, in most industries, sampling is an expensive proposition. “The restaurant business is one of the few businesses where people will pay you to sample, instead of you paying them,” he said. The simplest way to cater is fairly straightforward — third-party delivery. That can be expensive: Third-party delivery companies that take orders for your food, pick it up at your restaurant and deliver it can charge upwards of 30 percent of the check, but they do save operators the cost of hiring, training and insuring their own delivery staff. Daniel Boutarel, New England Consulting Group’s head of foodservice practice, calls delivery “catering’s smaller sibling.” And although third-party delivery can be a way of dipping your toe into the water of off-premise service, he said operators who hand their catering over to someone else miss out on the opportunity to further brand themselves. That can include using delivery vans with your restaurant’s logo and using your own staff to provide the quality of service customers would get in your restaurants. And while your staff is at the catering venue, “they’re brand ambassadors,” Stibel added. On top of that, handling your own catering gives you control of data on your customers, Boutarel said, including what they order, and when, allowing for more effective, targeted marketing: You know if they book catering for birthdays or other special occasions, or for regular monthly meetings. You also will have data about what they like, so you can alert them when you’re offering their favorite soup or are running a special on an entrée they enjoy. George Tenedios, CEO of Fresh&co, an 18-unit fast-casual concept in New York City, said the chain has been catering since it opened its first restaurant in 2008. “As we were building the brand, each store was in charge of their own catering [in] their own neighborhoods,” he said. As the chain grew, he said they opened a commissary that handles some of the food preparation for the restaurants as well as around 90 percent of their catering — pretty much everything but smaller, local orders of a dozen or fewer guests, which the individual restaurants handle. “After we had a certain number of stores, we decided to streamline our catering service, so we have a team of catering directors out of our commissary,” Tenedios said. He promotes the catering operations through pop-ups in high-profile locations such as the Port Authority — Manhattan’s main bus terminal — as well as in various corporate headquarters. The results have been positive: Tenedios said Fresh&co’s catering business has doubled in the past year to nearly $3 million in 2018. Tenedios added that beautiful presentation is essential, and that means packing food so it transports well and so that sauces that settle can be refreshed onsite. “It could be the best-tasting food, but once you take the top off and set it up, if it doesn’t look great it’s a deal breaker,” he said. She oversees 75 full-time and 200 part-time workers who generate more than $15 million annually, and in an email she advocated for “elegant tablescapes with layers of clean lines, pops of jewel tones with low floral runners,” as well as creative presentations such as tomatoes garnished with beads of balsamic vinaigrette and basil granité. Or, for something a bit simpler, squeeze bottles are good, said Newton of Asian Box. Since Asian Box specializes in Vietnamese street food, “all the food is very colorful, flavorful and vibrant,” he said. The food is delivered in traditional full and half aluminum pans, which Newton said travel and keep heat well. Originally, the chain offered pre-made meals, but they found their customers liked customizability, so they developed build-your-own stations set up similarly to their restaurants. 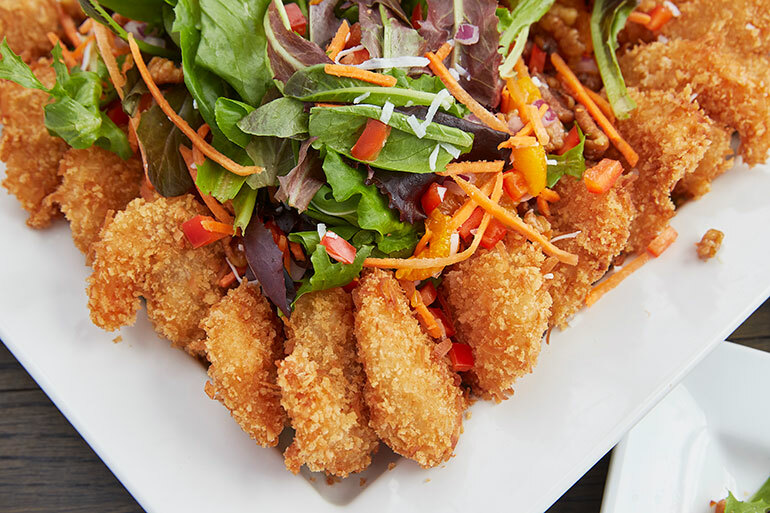 Guests can start with a base of jasmine rice, brown rice or rice noodles, followed by protein, then “toppers” including vegetables, herbs, fried shallots, roasted peanuts, and so on. Finally, the sauces are in squeeze bottles with the Asian Box logo, allowing for additional advertising as well as service that’s tidier and easier than bowls with ladles. There are many practical considerations to think about before setting up catering operations. Andrew Rigie, executive director of the New York City Hospitality Alliance, said operators should make sure they don’t sacrifice their in-house customer base for their off-site customers. “Customers don’t want to year, ‘Your lunch order is late because we have a big catering order,’” he said. That means determining what you can realistically put on your catering menu and figuring out when to prepare it. Maybe having staff come in late at night or early in the morning to do some prep makes sense, or handling the orders between lunch and dinner. “It’s really thinking about the full operations of your restaurant and how implementing catering fits into that,” he said. Boutarel of New England Consulting Group suggests doing the math before committing to catering. “There’s a lot of analytical work that goes into it before you consider it,” he said. That includes considering how much staff you need and how much incremental sales you need to make the additional staff worth it. Choice Market recently launched catering in time for the holidays in 2018. “Our customers have been asking for it, and we’re finally ready,” he said. That included developing the right packaging, making sure online ordering was in place and figuring out when to prepare the orders — 2 p.m. to 10 p.m., in his case. He also generally requires his customers to order 18 hours in advance. Thanks to Fresh&co’s commissary, Tenedios said he can turn things around in as little as two hours. “If someone calls and says, ‘I have a cocktail party tonight, what can you do for us?’ we can make it happen,” he said. 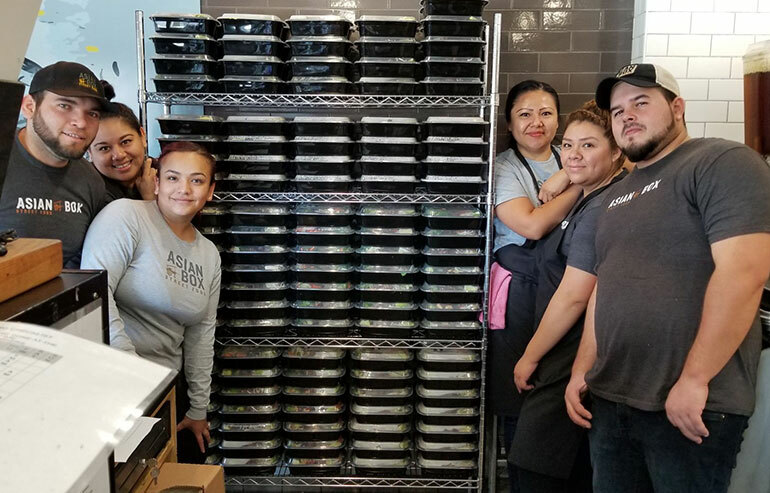 Mike Speck, Asian Box’s CEO, said the fact that his concept is culinarily driven, they can also respond to special off-the-menu requests, such as salmon or other proteins they don’t normally offer. “We have some people that are definitely trained in all the key things,” he said. Other than that, it’s a question of being cognizant of both on-premise and off-premise customers and doing all of the juggling and on-your-feet planning that are restaurateurs’ stock-in-trade. “That’s blocking and tackling day-in, day-out, shift by shift,” he said.